LIFE in the Bundaberg region became a pinch sweeter this month with the reopening of Bargara Berries Bar and Cafe. Bob and Lynn Hay, 68, thought they were done. The married couple of 47 years believed their restaurant days were over. Little did they know, eight years after deciding to lease out their cafe, they'd be back where it all began. Mr Hay, 70, said the decision to come back may not have been the easiest, but it was the right one for the couple. "Since we opened about three-and-a-half weeks ago, we've been quite busy. "All our old customers are coming back." 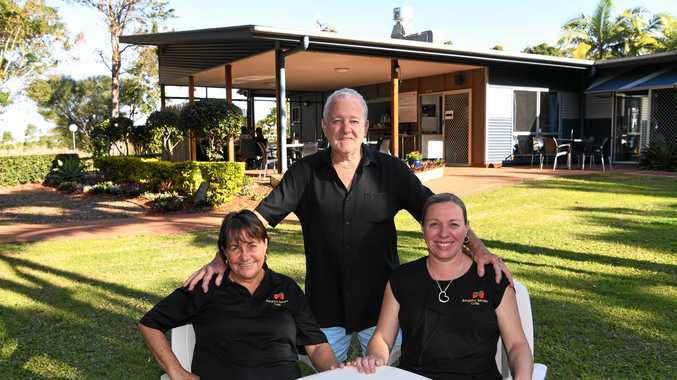 Mr and Mrs Hay have owned the well-known cafe for eight years, as well as Bargara Berries, before leasing the eatery out. "After that we decided we'd had enough for a while, so we leased it (the restaurant) out," Mr Hay said. The business owner told the NewsMail he and his wife had spent the vast majority of the past eight years living the retired life on their boat and island hopping up and down the coast. That's not to say they lost touch with the berry business completely. "We made jams, sauces and relishes and stuff and sold them, we just didn't grow them any more," Mr Hay said. When asked how long he and Mrs Hay would continue to run the cafe, Mr Hay confessed he wasn't entirely sure. "We're not really at the right end of our life to do this. We'll go for as long as we can," he said. "We wanted to get it going and then sell it down the track." Since reopening, Mr Hay said customers had "increased tenfold". "People have come back and given us a hug and welcomed us back ... we got to know a lot of people those first eight years," he said. 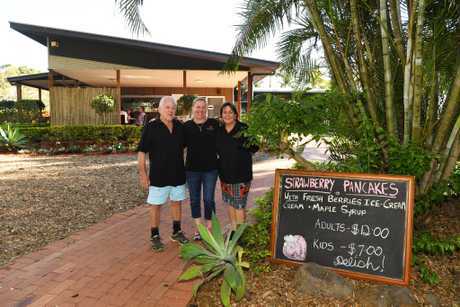 The Bargara Berries Bar and Cafe menu has changed since the couple returned, but Mr Hay assured people his kitchen still focussed on uncomplicated, nourishing meals. And while some things have changed, including the seven total staff now working at the cafe, the favourite sweet treat on every customer's mind has not. "The strawberry pancakes. We've sold hundreds of them already," Mr Hay said.